Russian S7 Airlines Receives Airbus A321neo. 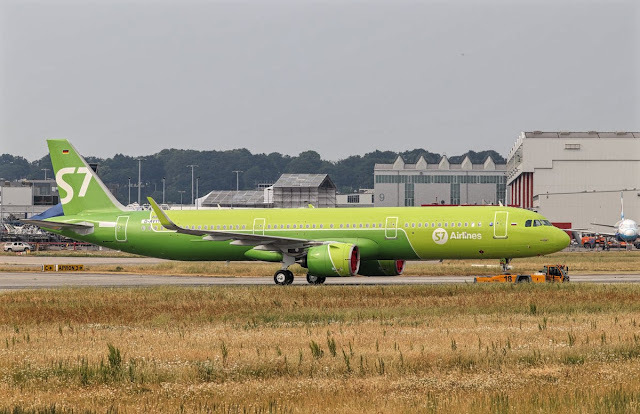 The Russian company S7 Airlines received its first Airbus A321neo, one of the four that this year rented to the American firm, Air Lease Corporation. The aircraft is powered by Pratt & Whitney PW1100G, says the lessor. S7 is already an operator of A321, with several CFM International CFM56 aircraft in its fleet. The airlines also been receiving A320neos in the last year. S7 says the A321neo will allow it to increase capacity on long-range domestic flights, adding that it will also deploy the type on international routes. S7 Airlines is an airline based in Ob, Novosibirsk Oblast, Russia, with offices in Moscow. According to data from 2008, it is the largest domestic airline in Russia, with its main bases at the Domodedovo International Airport and the Tolmachevo Airport.